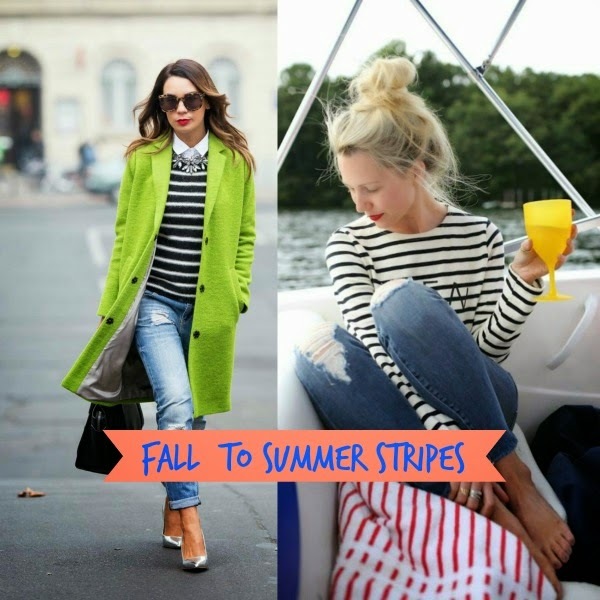 Stripes: French Fall to a Nautical Summer! It's no secret I love stripes. 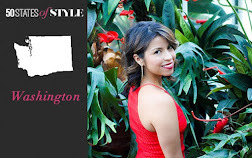 It's a versatile staple that can switch from style to style. And also from season to season. I'll prove it. If you're like me, you've pretty much layered your stripes with sweaters, coats and other tops. It was my go to look for fall. I was channeling the French vibe that seems to trend in the cooler months. But the days of layering is coming to the end. It's time to get ready for the hot days of summer. But don't pack up your stripes just yet. Where do you picture spending your time this summer? On a boat? Yeah, me too. This is where your French stripes can make your nautical look come to life. Here are a few looks to inspire your boat days of summer. The classic long sleeve, crew neck stripe shirt is perfect top when the breeze off the water gives you a chill. You can pair it with shorts, a long skirt or just wear it by itself with a coverup. How about mixing things up and having a little fun with stripes? That body suit that you've worn with your jeans all fall long can now live on their own. It's like a one piece swimsuit with half sleeves. You can also look to editorials for a little inspiration. These two images perfectly illustrate how stripes can make your "I'm on a Boat" outfit come to life when paired with other prints or in color. Can't you just picture yourself on a boat, a glass of wine in hand, wearing your favorite stripe shirt? I can.